❤️ Our hearts go out to all of our clients and their families (including furry family members!) who are affected by the government shutdown. Regardless of your politics, here’s my feeling: The U.S. Government is forcing suffering on its own citizens. No matter who you blame for the shutdown, the employees didn’t do anything to deserve this. And many families of those who serve and protect all of us, from the Coast Guard to TSA are suffering. And families do include companion animals. I hope other veterinary hospitals follow Blum’s lead, and this becomes a national trend to demonstrate that all family members matter. My hope is that Banfield and VCA – who own and operate between them more practices than all other groups combined – consider supporting our Federal employees in their time of need as Blum Animal Hospital has done. Many veterinary professionals read this blog, and obviously most of you reading this have at least one pet. I hope you share this post. I hope you consider asking your veterinary professionals wherever you live (if in the U.S.) to do exactly what Blum Animal Hospital is doing to support pets and their families during the shutdown. Blum Animal Hospital has always been a leader, from the days when the legendary Dr. Sanford Blum and Dr Sheldon Rubin. For example, Dr Rubin was one of the first veterinarians to effectively talk about pets in the media. 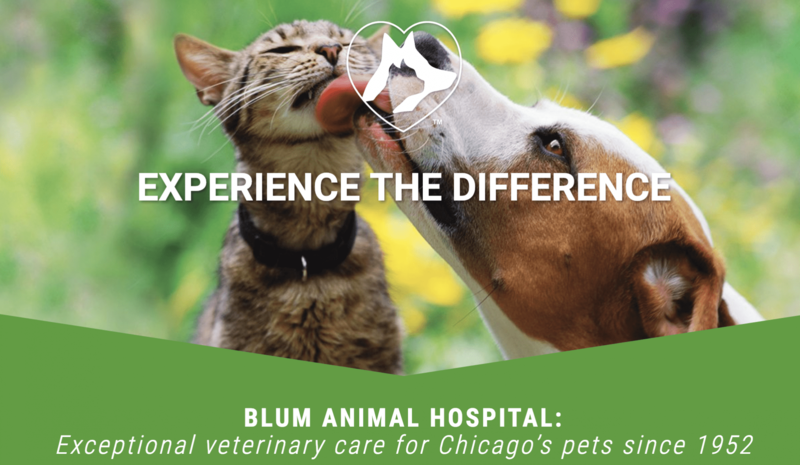 More recently, Blum is the First Free certified veterinary clinic in Illinois and was one of the first in the U.S. Blum is also Cat Friendly certified practice. Now, Blum is making a statement about the importance of pets as family members, and I cant agree more.